From the day your baby comes into your world, your life changes and you are no longer who you thought you were, it’s no longer just about you or your little life anymore. It’s about someone else and you have become someone else. You are a mum. When I first came to this realization, I also realized that I know nothing about being a mum, just as I had very few friends who knew about being a mum too, since they weren’t mums themselves. And thus, I made it my mission to find other mums who were in the same position as me, who had just become a mum, or who had already been mums for years! Because no matter how many friends you have when you are a mum sometimes you just need a friend who is a mum too, who is going through the same things as you and who you can relay all your babies endless gurgles and roll overs without them getting bored! Just as lotions and fragrance give sensual delight,a sweet friendship refreshes the soul. Friends are so important! They refresh us and uplift us! Especially when you are a new mum cooped up inside, after a first few months, its time to get out and make friends! This is actually one of my favorite places to meet other mums. Japan has lots of free play area’s where your baby can roll around or crawl and meet other babies, giving mum’s a chance to meet. Even if your baby isn’t Mr Sociable, the chances are he is cute and so are other peoples babies, making it very easy to strike up a conversation with your new potential mum friend. The other factor here is that many mums come here by themselves in the hope that they might meet other mums, but are sometimes shy to start conversation. So don’t be shy just break the ice and have a good ‘baby chat’. I have met many good friends in these play area’s and our kids still hang out now or go to the same kindergarten. Look for these play area’s in your local shopping mall or larger supermarket! One of the great things about Japan is that they do try to connect other mum’s together through community groups, usually run by some nice old ladies. In my first few months as a mum I went to a small group like this near my house, that was advertised in my apartment block. It was just a room in a ward center and a couple of old ladies would watch your kids whist you could chat with other mums. I made some good friends in my area from here, one who even lived in the same building as me! There are lots of free community groups like this in Japan so look for them being advertised around you. Right now we have moved house and there is a great small community center right behind our house. I am yet to have paid a visit but I often see many mums hanging out there! And it’s all free! Where better to make friends than in your local neighborhood. Along with the above community groups make the most of your opportunities when you are out and about with baby. At doctors appointments, for vaccinations, for your health checks at the ward office, they are all good times to strike up conversations with people, you never know how close they may be living. I have met a few people at doctors appointments and health checks that I have found live around me on the same street even! You never know when your kids are older they could be playing on the street together or around your apartment. These kind of places are good to make friends from all over the world. Especially in Japan there are lots of online face book groups set up to connect families and mums. Some of these are especially targeted at international families. Some of the groups I have joined are Kansai Kids Network, Mums in Osaka, and Brit Mums in Japan. They offer sources of information and places where you can ask questions and sometimes hold events you can go to meet others. I’m sure there are similar online community groups for Japanese mums too. After Kara was born I made quite a few friends from my own country or others who were living here and had just had babies, we created our own events. With a bit of research you can find some in your area too. This is my number one place to make mum friends and this is where I have found all my best friends! 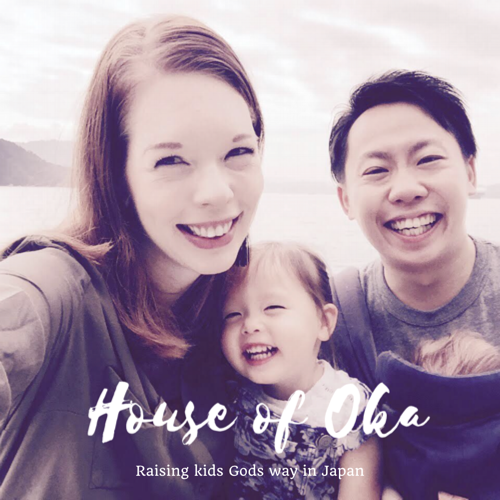 I am part of Lifehouse Osaka Church, if you live in Japan there are lots of Lifehouse churches around that you can find. Check http://www.mylifehouse.com for one in your area. Church is full of mums and families with kids and they are always very friendly and open. I have found its the easiest way to make friends, people there will usually make friends with you before you have to make any effort. And you don’t need to be Christian to go, its always open every Sunday with lots of family free events. On top of that Osaka church has a Mums Connect group that meets twice a month on a weekday as an international play group. This is great if you are looking for an international community, or even a group of Japanese mums, you don’t need to speak English and it is a relaxed environment to make friends in. We do crafts, exercises have day trips out and coffee mornings and everyone is welcome to participate! If you are finding it difficult to make new friends after having a baby, I recommend you try one of these ideas! And if you do find it easy let me hear from you too! Where have you made your ‘mum friends?’ What kind of area’s are there around you that make it easy to make new friends? Let me know, I would love to hear!